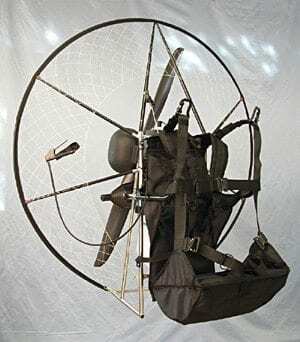 The idea behind a backpack powered aircraft such as a paramotor typically gives the interested pilot the idea of a cumbersome, heavy and awkward design. 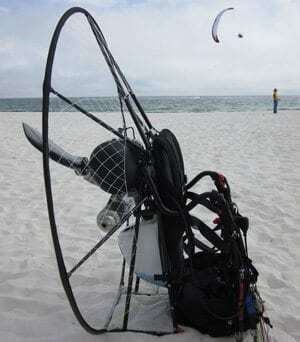 Throw all of those ideas out, and welcome in the Miniplane paramotor. Designed to be very light weight with enough strength for easy power forwards, the Miniplane is a serious contender in the paramotor marketplace. These units weigh in at a mere 43lbs and put out 15hp from their Top 80 engine. Both designs are available with a 115 or 125cm prop. Miniplane’s high hang point design Miniplanes weight shift design, our favorite Miniplane.